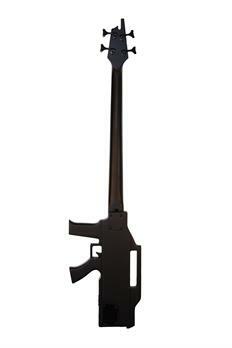 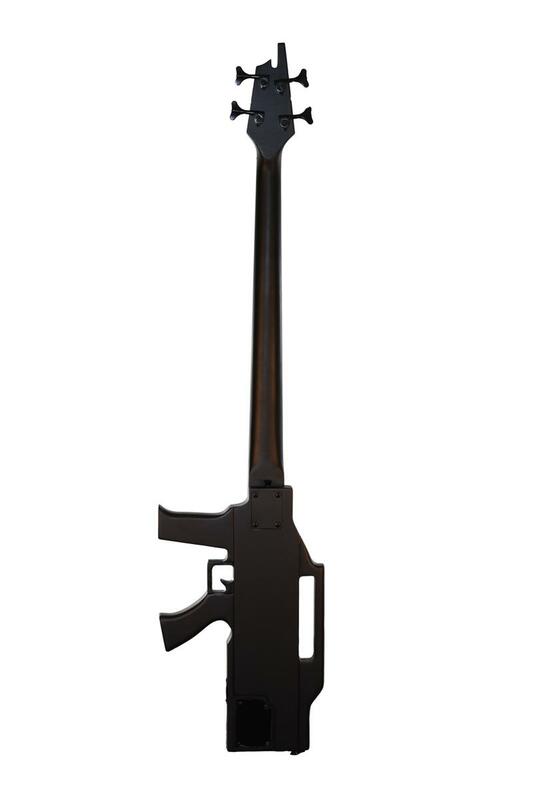 The Glen Burton GB47 is an actual, playable electric bass that looks like a machine gun. This cool bass features dual single coil pickups for a wide range of tonal possibilities! 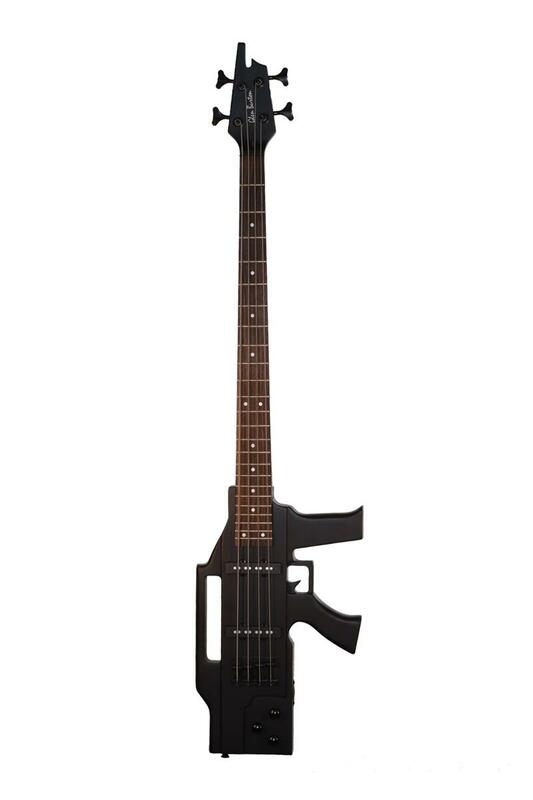 Black anodized hardware rounds out this bass guitar’s mean looks.